Premise- One contestant must make their way across the stage by avoiding the traps in each of the 6 rows of 7 numbers. In the first row, there is only one trap. In each row after, one trap is added on until the sixth and final row contains six traps. In each row, contestants may chose to either take a chance and attempt to pick a safe number or ask for a clue to help them find the trap. 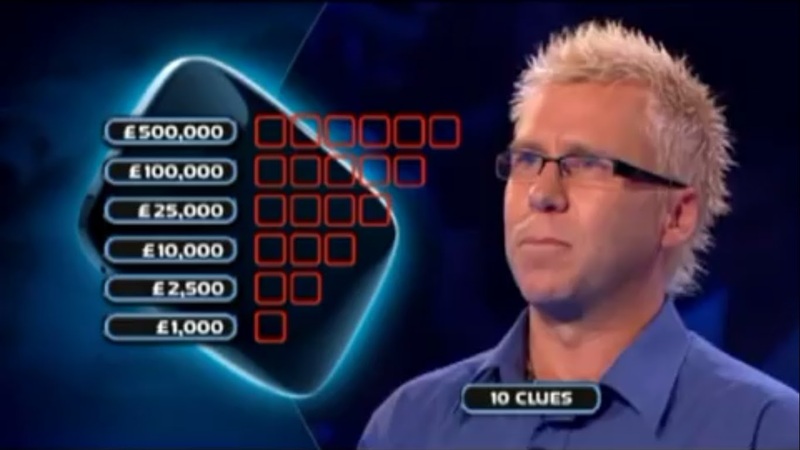 The contestant will have only 10 clues to use throughout the entire game. Every time a contestant successfully avoids all the traps in a row, they win the money attached to the row. 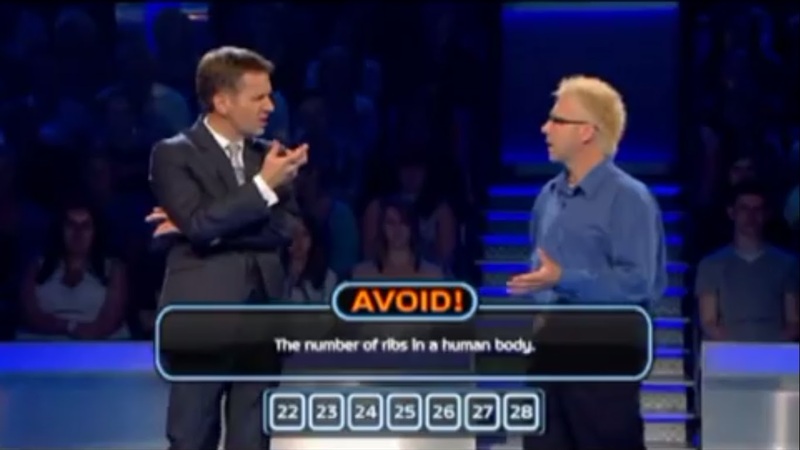 The contestant may opt to walk away with their winnings after they have cleared a row of traps. If a contestant clears all six rows without hitting a trap, they win the £500,000 grand prize. However, if a contestant steps on a trap at any time during the game, they either drop down two money levels or leave with nothing, depending on which money level they are on. Ever since I have started watching British game shows a few years ago, I have been impressed by the creativity and originality employed in each show. I feel like U.K. game shows has been off lately because of their focus on giving away as much money as possible rather than separating their shows from the norm, as shown on Red or Black and High Stakes. High Stakes, when broken down to its essence, is just a simple game show of picking numbers and hoping for the best, like on Deal or No Deal. However, I do like the fact that High Stakes added trivia to their format to make the show more interesting and challenging. I also like the set design for the show. (The moving floor with the giant screen is a nice touch!) With this being said, there are a few things that I don’t like about the show. The overall gameplay and show flow is slow, with picking and revealing the traps one at a time, and the lack of variety with the dollar values is a tad off-putting. Another problem I have with the show is the host helping the contestants to find the answers. I have no problem with the host talking the contestants through each question and all the possible options, like Regis did on Millionaire from time to time, but I do have a slight problem with the host HELPING the contestant to find the answer. 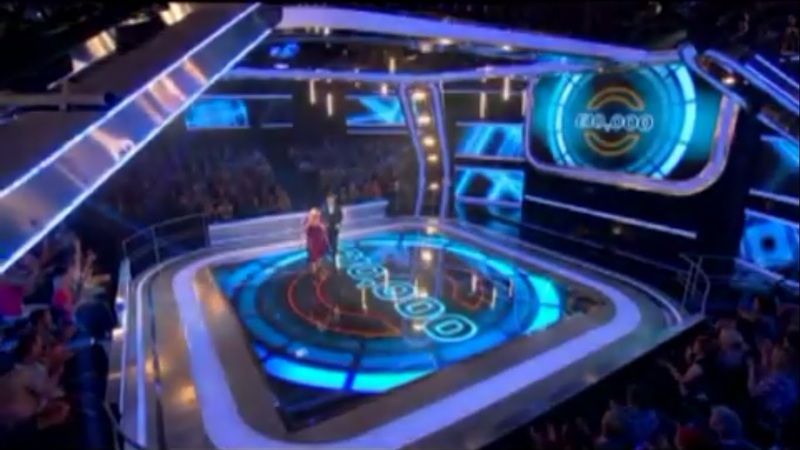 The intentions are good to help the contestants win as much money as possible, but it also raises questions to whether the host actually knows the answers to the questions in advance, prior to the taping of the show. Just because the host adds the disclaimer that he has no prior knowledge to the questions on the show, doesn’t mean that it’s necessarily true, as we have seen in the past with the multiple game show scandals in effect at the time. The show would work better with the family members and friends helping the contestant with the questions, rather than the host. Overall, if High Stakes were to be cancelled next week (ignoring the fact that I can’t even view the show regularly in the U.S.), it is not a show that I would miss. As I have said before, even though High Stakes is challenging, the gameplay is slow and simple. Even with the show’s good time slot, airing on Tuesdays at 8:00 p.m. on ITV, High Stakes is still averaging less than three million viewers per show, the same ratings that forced FOX to cancel Million Dollar Money Drop. Watch High Stakes Tuesdays at 8:00p.m. EST on ITV!